K Design and Build has been supplying design and build services to domestic clients since 2000. Our expert team includes general building skills and traditional niche trades so we can deliver a full design and build service for the home and garden. 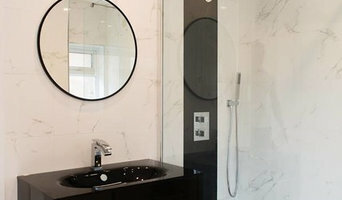 We specialise in bathroom designs, kitchen designs, carpentry and joinery, loft conversions, home extensions and full interior and exterior build. What sets us apart is delivering an end-to-end domestic building service with an added design touch. Why? Because we feel that design is more than aesthetics. Good design means practicality. By adding our design skills to your kitchen, bathroom and extension plans we can give your build the wow-factor: effortlessly enjoyable spaces for entertaining, relaxing, living and play. K Design and Build have developed a close team of really trusted building experts. The combined expertise, knowledge and on-the-job experience of our team members means we can supply the highest standards of workmanship to a range of domestic building and garden projects. We offer bespoke design, renovation, refit and build services to optimise the look and functionality of your space. We will always offer our best-practice advice, to give you options and (perhaps) to broaden your views on what can be achieved. It’s the important details which make all the difference in a home build project. All general building work undertaken. 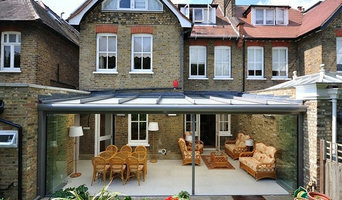 We specialize in domestic home extensions renovations and major refurbishments. Est. 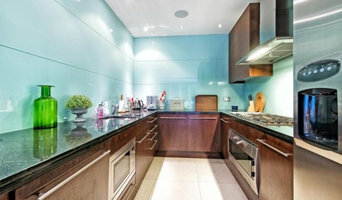 1973 - Award Winning Specialists in Building and Refurbishment Projects for Private Clients within London. "The Best Builders in London." Broseley is a team of more than 65 trained people, ranging from master builders, specialist craftsmen, expert technicians, joiners, cabinet makers and decorators to project managers, researchers and quantity surveyors. This is underpinned by our senior project management and our highly trained administration team who ensure prudent financial management on every project. A size that is big enough to offer all the skills and facilities required, but small enough to offer a very personal, reliable, integrated and ‘hands on’ approach. We provide planning, design, construction and project management services to an exceptionally high standard. Close collaboration with our client and their design team, clear and open communication and the long term trust we have in our suppliers and workforce is the foundation to our success. We combine traditional values and methods with appropriate modern technology. We are conscious of the environment and endeavour to minimise negative impact. Our projects have included lofts, basements, underground garaging, wine cellars, swimming pools, steel and glass structures, flats and apartments. We have enjoyed the challenge of working on historical and modern homes with both period and contemporary interiors. We are established family building company with a wealth of experience in completing refurbishment projects, basements, house extension and loft conversion to the very highest standard. We offer our clients quality, comprehensive service that is combined with excellent value of money. Totus is a family-run construction company that has built its unrivalled reputation for high quality projects over the last decade. We understand that one of the most important investments people make today is their home. Therefore every project undertaken by us is carefully researched and considered in order to exceed our client's expectations. Our aim is to provide You with a high quality efficient service to make the process of the building works a pleasant experience. We take real pride in helping you to create the home of your dreams, whatever the size of your property or the changes you wish to make. We specialise in refurbishments, internal structural changes and home extensions. One of our key principles is to make the whole process as simple as possible for you. Renovations to your property can be daunting and we can help you through every stage of the process, ensuring that all your questions are answered and by helping you make decisions along the way. The Wise Renovation team, led by Sergiu Bogos, is made up of hard working, qualified individuals who have vast experience in renovations. They are able to offer practical solutions to ensure that your project is finished to the highest of standards. We believe that successful refurbishments and renovations depend on excellent project management. We make sure that all our projects are meticulously planned and executed ensuring that they come in on time and budget. We want you to feel at ease during your project and therefore one of our key priorities is to keep you fully informed throughout the works. Our passion is to exceed your expectations and our job is not complete until you are 100% satisfied. We fully guarantee all our work. Why not build you own house with the help of Marlow, Buckinghamshire builders? Builders in Marlow, Buckinghamshire can be employed to handle a wide range of projects; from knocking down a partition wall to building a kitchen extension, but you’ll certainly need the help of a trusted house builder if you plan to build your own home from the ground up. But why would you take on such a task? This may seem like a daunting task, and admittedly, it’s not for the faint-hearted. But with extensive research, trusted builders in Marlow, Buckinghamshire, detailed budgeting and good judgement you might soon be sitting in the house of your dreams, at a snip of the cost. Your architect’s plans will serve as clear instructions to your builder and, if the former has done their job well, you should also avoid any nasty surprises with the local council. Finding the right Marlow, Buckinghamshire builder need not be a long or difficult process. Personal recommendations aside, a good place to start is the Marlow, Buckinghamshire Home Builders category of the Find a Pro section on Houzz, where you can see their previous work and ask questions. Compile a shortlist of at least three builders in Marlow, Buckinghamshire that can handle the full scope of works, either by themselves or through sub-contracting. It is often a good idea to play devil’s advocate and ask what the builder will not be responsible for, such as structural engineer consultations. Be weary of unusually cheap quotes. Ask for references and stories about how the builder has met different challenges along the way. If you can, you could try to see builders’ previous projects in person and talk to previous clients, or if not, read reviews, recommendations and ratings, and look at detailed photos of projects. How long have you been operating as builders in Marlow, Buckinghamshire? Find builders on Houzz. Narrow your search in the Professionals section of the website to builders in Marlow, Buckinghamshire. You could also look through Marlow, Buckinghamshire photos to find a project you like, then contact the Marlow, Buckinghamshire builders that created it.